These islands are in general less popular than those of the Cyclades and the Dodekanese though they are no less beautiful and in many ways have retained their Greek-ness more than the very popular islands. Ferries to these islands generally leave in the late afternoon or early evening and you arrive in the morning, in some cases very early. 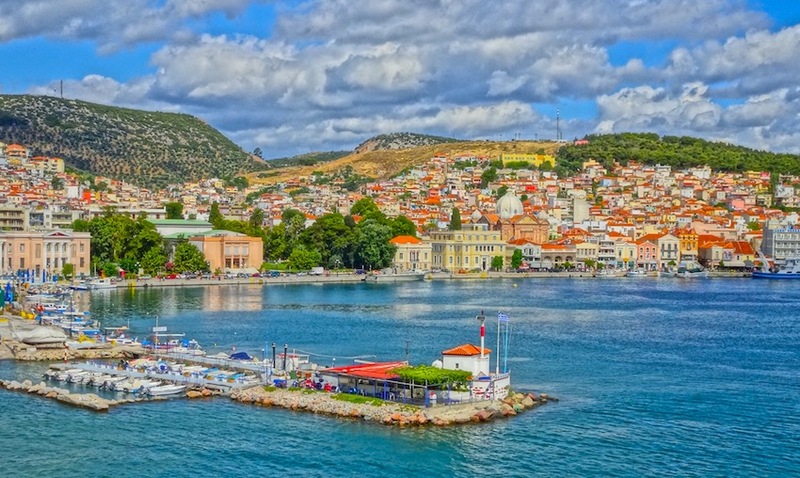 Because of the distances it is not very practical to island-hop but these islands, especially Lesvos and Chios, are so big and have so much to see, that you probably won't feel the need to visit another island. Click on these links below or scroll down. You can use the top button to return. When you finish you can use this link or the link at the bottom of the page to return to Greek Island Synopsis Main Menu. If you want help with your Greek Island combination try my Create-an-Itinerary page. If you have any questions or can't decide what you want to do you can always e-mail me . If you find this page useful please share it with your friends on Facebook and Google+ by using the buttons at the bottom of the page. The port is a city with traffic and buses, cafes, restaurants and shops and worth at least a night or two. Once you leave town there are lots of interesting things to see including the fortress villages known as Mastichochoria for their historic manufacturing of Mastika, a gummy sap that had major value in cosmetics and medicine before the use of petroleum and still used for a variety of purposes (including a kind of chewing gum and a liquor). 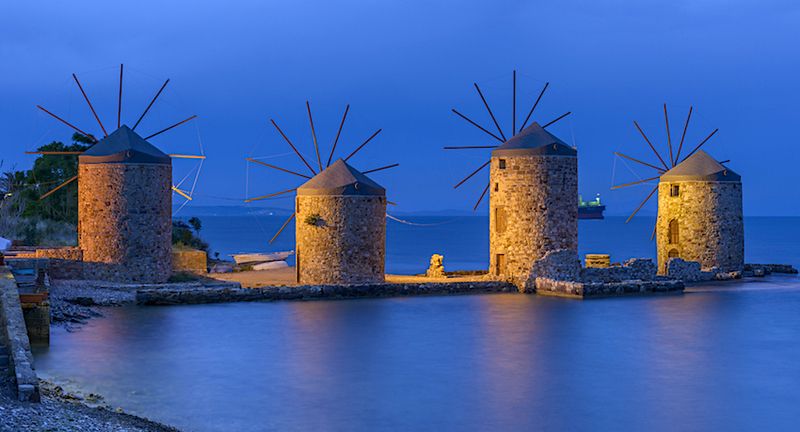 Chios is one of the most beautiful of the Aegean islands and has a capable bus system. Renting a car is the best way to see it though. 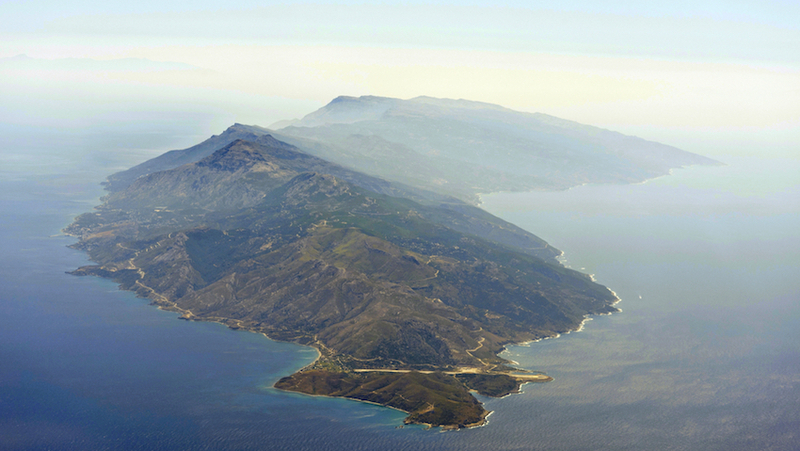 The tiny islands of Psara and Inousses are accessible from Chios. Be sure to read Was Columbus Greek? An article about his possible origins on the island of Chios. Daily boats from Pireaus take about 8 hours and arrive at 4am. They continue on to Lesvos, Limnos and on some days to Kavala or Thessaloniki. There is also a boat that goes to Ikaria and Samos and the major islands in the Dodecanese. You have heard the stories about the island where people live to be 100. That's Ikaria. Whether it is their diet, their lifestyle or the fact that they have no real city on the island or if it is just a statistical anomaly, who knows? But Ikaria has gotten a lot of attention because, well, who wants to die? Right? Ikaria is known for its apricots and lack of tourists. It was the Ikarians who dredged the Cape Fear river making Wilmington, North Carolina's primary seaport because it was a source for pine resin (as in Retsina). Arministis is the island's main resort town and is surrounded by forests and fine beaches. Visit the hot springs at Therma and Therma Lefkada. There is a language school here called the Hellenic Cultural Center that may be worth checking out. They offer classes in Greek language and other programs as well. The Fourni islands , between Ikaria and Samos are a group of small islands with secluded beaches, accessible by small boat from Ag. Kyrikos that are well worth a visit if you like to swim and spend your time in small fish tavernas. Connected by ferry to Samos with a daily boat to and from Pireaus, nine hours away. If you are looking for a non-touristy island this might be for you. Far enough away to have avoided the mass tourism which has infected other islands, Limnos has some of the best beaches in the Aegean and maybe the best wine after Santorini. The town of Myrina is famous for its excellent fish restaurants and massive volcanic rocks. 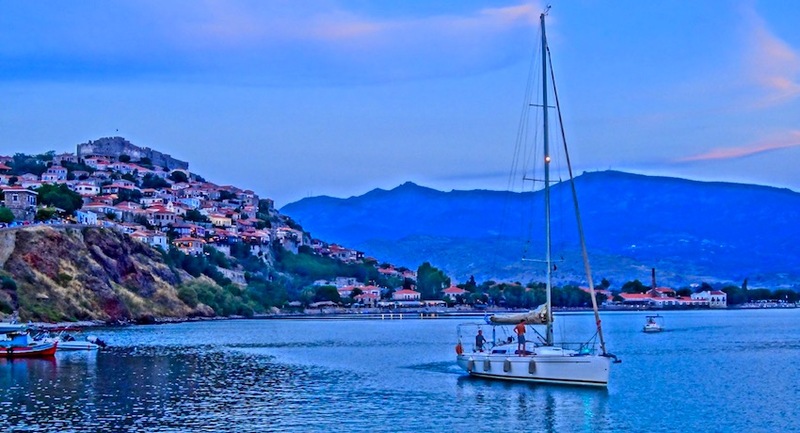 There are ferries from Pireaus, Thessloniki and Kavala and excursion boats to the nearby island of Agis Efstratos. Can be combined with Lesvos or Chios. I love this island, also known by the name of Mytilini, the name of the main city, which is the port where most people will arrive either by boat or plane. Great market in the center of town. The island has the best food in Greece, especially seafood. Famous for ouzo and sardines. Try Dimino and Gianatsi which are my favorites and are distilled in the traditional way. The sardines come from two big bays, Yera and Kaloni. Skala Erressos is the birthplace of Sappho. It's one of the best beaches in the world and a popular family destination as well as alternative travelers meaning in this case gay women, spiritually-minded people and poets. It also has some of the best restaurants on the island and cafes and bars right on the sea. One of the best towns for families with children since it has a long boardwalk and is basically car-free for the most part. Sigri is the place you go to get away from it all, a town on the western tip of the island with great beaches and restaurants and a cool breeze even on the hottest days. It's a popular destination for wind surfers and is close to the world's largest petrified forest. Molyvos is built around a medieval castle. Many foreigners, some visiting, some living there. There's a yoga center and other spiritual and cultural forums. Plomari is famous for having the best ouzo, and the strongest. Kaloni is the bird-watching capital of Europe and has more wildflowers then anywhere in Greece. The best sardines too. Thermal spas at Skala Thermi, Eftalou and Gera which people say can cure a variety of ailments. (They worked on my back). The beach at Vatera is about seven kilometers long one of the most beautiful beaches in Greece. The island is big. Too big for motorbikes. You will need a car if you want to explore but you can be perfectly happy without one. 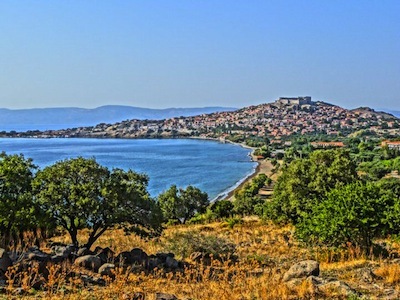 Lesvos is inexpensive ! You can save money by going here and have as much fun or more then you will elsewhere. 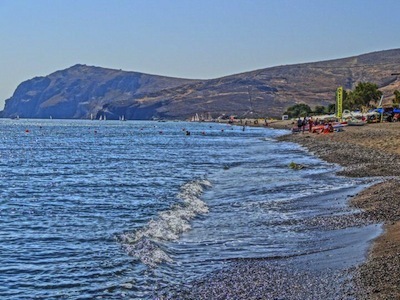 You can also do day-trips and overnight trips to nearby Avalik, Turkey. Ferries leave Pireaus at dusk and arrive in Mytilini at 7am every day, stopping in Chios though in the last couple years they have added some faster boats that take about 7 hours. There is also an international airport so close to the beach that you can go for a swim if your flight is delayed. 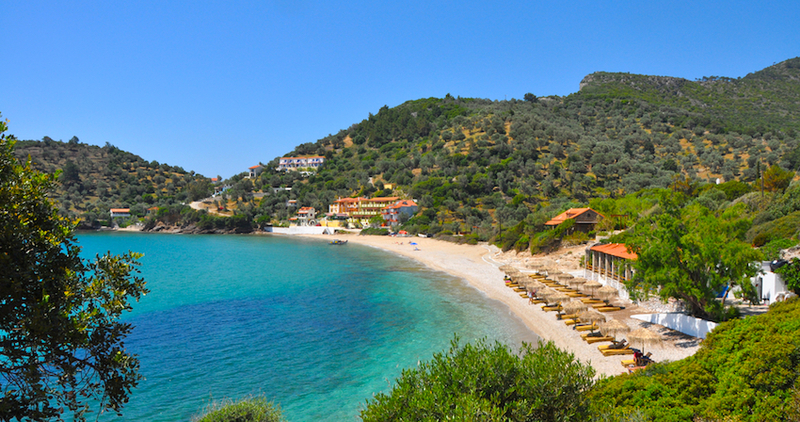 Check out the Hotel Aphrodite on beautiful and endless Vatera Beach. Canadian owned by a family with kids so if you are traveling with yours you know the value of having others nearby. Big and green. Nice beaches. Tourism is down here for some reason so take advantage while you can. Car or bike essential. Industrial city of Karlavassi with deserted warehouses and factories would make a cool set for a movie about the end of the world and is an up and coming tourist destination with bars,cafes and restaurants. The main port is busy but fun. Samos was the island that was on fire for a week during the summer of 2000. But don't let that scare you away because even though some of the forests in the interior of the island were pretty much destroyed, the coastal areas, beaches and resorts were unscathed and tourists given the choice to continue their holiday elsewhere opted to stay. Day trips to Turkey. Ephesus is fantastic, an entire ruined ancient city that is a stop for just about every cruise ship in the Aegean. Marc Dubin's Guide to Samos has a lot of great info since Mark lives on the island. This small island between Limnos and Alexandroupolis in Thrace is one to the most beautiful islands and boasts the highest mountain of all the Aegean islands. It is an island of forests and olive groves, springs and waterfalls and has some of the most abundant wildlife in Greece. 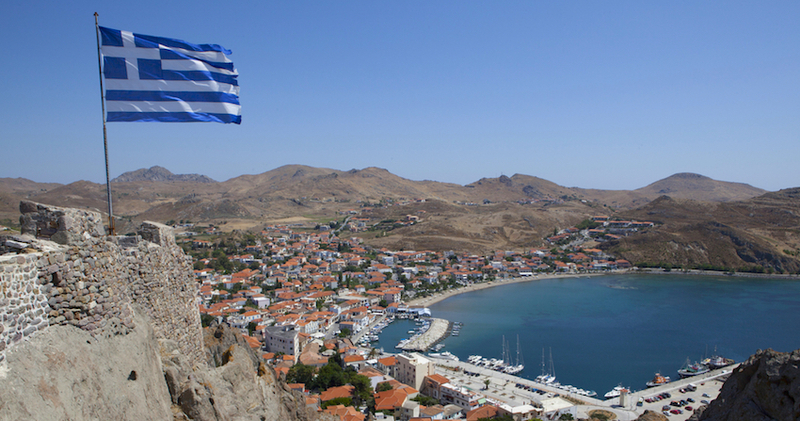 Though virtually unknown to to tourists, many Greeks visit the island during July and especially in August. Daily ferry connections to Alexandropoulis and several a week to Kavala. The Winged Nike of Samothrace in the Louvre Museum in Pariscame from here. Beautiful island in the Northern Eastern Aegean that used to be popular with Germans because they could drive down easily. Now it is popular with Eastern Europeans and people from the Balkan countries. It's a beautiful island and not a lot of tourists though if you are coming in late July and August you would be smart to book well in advance. You have to take the ferry from Kavala which leaves every hour and there are 6 hydrofoils a day in the summer. Great beaches.